Tattoos are like stories; symbolic of the important moments of our lives. They are the stories in your heart and mind written on your skin. Most of us have a fascination towards getting something tattooed on our bodies, be it a quote we love, a religious belief, our loved ones or our favorite celebs, we like to immortalize things that matter to us the most. Well, a lot of fans get their favorite celeb names or characters tattooed, and while that sounds a bit freaky and crazy, it's also startling to see to the extent certain fans love celebs. Ace comedian, host and actor Kapil Sharma won millions of hearts with his first show Comedy nights with Kapil Sharma. The second talk show named The Kapil Sharma Show went as popular as the first one and he became a household name. Though the comedian faced a lot of hardships the last year and not to forget all the controversies, he has bounced back yet again to prove he's still the country's favorite. Recently, a fan got Kapil's name tattooed on his hand. Bubbly actress Asha Negi, who is best known for her role in Zee TV's hit show Pavitra Rishta has been a part of many popular shows on television like Bade Acche Lagte Hai, Punar Vivah, Qubool Hai and Ek Mutthi Aasmaan to name a few. 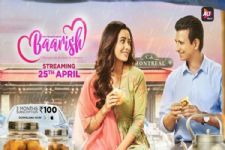 Asha, who is currently dating her Pavitra Rishta co-star Rithvik Dhanjani will soon be seen in an upcoming web-series Baarish. Back in 2015, a UK based fan of hers got her name tattooed on her arm showcasing her love for the actress. Talented actor Nirbhay Wadhwa, who currently plays Kaalasur in Qayamat Ki Raat has played many memorable characters on small screen. Nirbhay has been a part of shows like Tenali Rama, Mahabharata, Sankat Mochan Mahabali Hanumaan, Bharat Ka Veerputra- Maharana Pratap to name a few. Well, back in 2017 a fan of Nirbhay Wadhwa based in South Africa got his Hanumaan Look from the show immortalized on his arm. TV hottie Karan Wahi has a lot of fan following especially female; I mean look at that face. The charming lad started his career with Star One's youth based show Remix and became an instant hit among viewers. He went on to do shows like Dill Mill Gayye, Kuch Toh Log Kahenge and hosted a bunch of shows to become one of the most popular faces of small screen. Apparently, in an interview with Indian Wikimedia, Karan was quoted saying, "I have fans who have gone on to tattoo my name." Well, this sounds freaky for sure. Have you ever got a tattoo of your favorite character or know someone who has? Let us know in the comment section below.